Showcase your earrings in style. Eye-catching, spinning earring rack holds a large quantity of earrings (216 two inch earring cards). 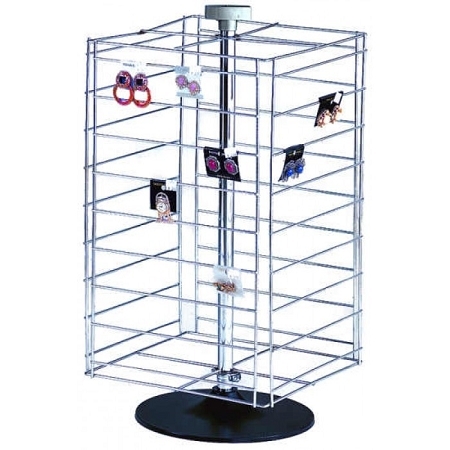 Rotates so customers can see earrings with greater ease. All-chrome. Sturdy, black plastic base. Dimensions: 26"H x 19" Spinning Diameter.